Tonight, Killing Eve’s season finale airs. If you’re not watching this show, you really should. I heard about it on a few different podcasts, and so my wife and I checked it out and it immediately won us over. Why? Sandra Oh plays Eve Polastri, and American born citizen who came to Britain and never left. She works for MI5, which is England’s equivalent of the FBI. A global assassin has come to her attention, and, to be honest — she’s a fan. Jodie Comer plays Villanelle, the assassin. She is young, brilliant, beautiful, athletic, and a total psychopath. When she discovers Eve is hot on her trail, she becomes infatuated. Do you recognize the beginnings of a very unhealthy relationship? This is a quirky show. At times it is incredibly violent because Villanelle loves what she does for a living. At other moments it is quite dramatic as Eve’s relationship with her husband suffers due to her professional, and personal, secrecy. 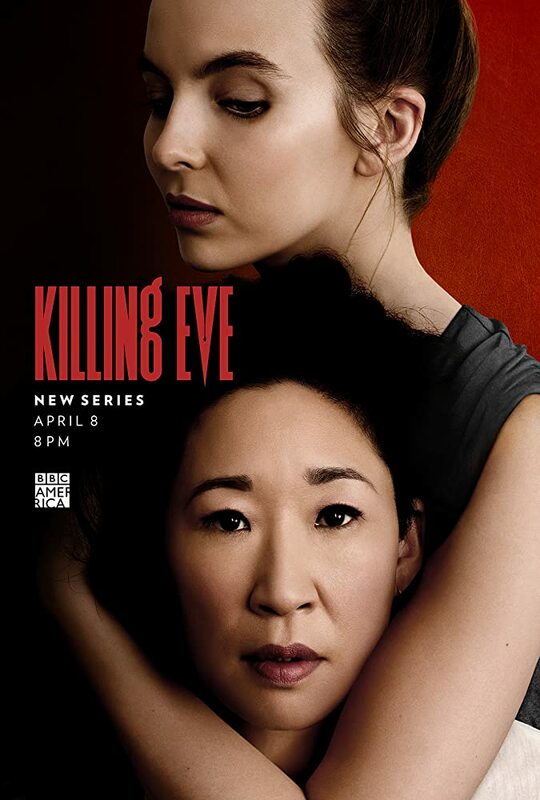 It then becomes a flat-out thriller when Eve and Villanelle come face to face. However, amidst everything, it is always darkly humorous. This show has a weird, pervasive sense of humor that is always lurking just below the surface. This is probably due to the series creator: Phoebe Waller-Bridge. She also created and starred in Fleabag, an equally idiosyncratic show that I rave about at every opportunity. She has a strangely captivating sense of humor, and it shines in this series she based on a novel. Everyone gives a top-notch performance in Killing Eve. The writing is crisp. The locations are both beautiful and mundane. Even the clothes are oddly interesting. But beneath it all, the show has an electricity to it that I don’t detect in many other programs. It just feels … different. It strikes me as fresh, original, and a little dangerous. With its eighth and final episode premiering tonight, it doesn’t require much of a commitment on your part. They move fast and believe me when I say you’ll be entertained the entire time. Be prepared, though, when Villanelle is on the job, she pulls no punches.